Five animated adventures featuring Mickey Mouse (voice of Bret Iwan) and his friends. 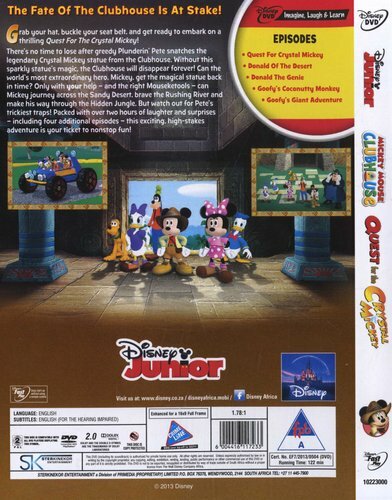 In this instalment the gang go in search of a magical statue of Mickey that has been stolen from the Clubhouse. They must race against time to find it before the Clubhouse vanishes forever. 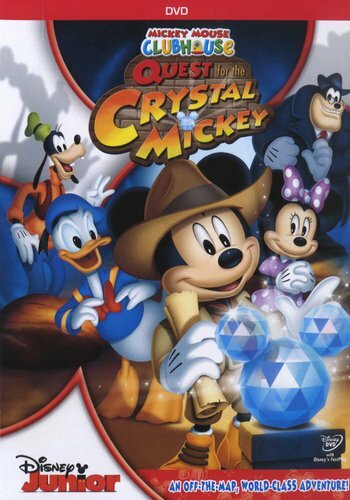 The episodes are: 'Quest for the Crystal Mickey', 'Donald of the Desert', 'Donald the Genie', 'Goofy's Coconutty Monkey' and 'Goofy's Giant Adventure'.